My adventures at the WMA Showcase And Awards Show 2012 started with the opening luncheon and Baxter Black! He was wonderful! And what a trill to meet him! Then the showcases started! Naomi Bristow was next! A very talented young lady with no place to go but up! At the opening luncheon I sat with Troy Bateson …(who was on stage later with Barry Ward)…and Mustang Mikki! It was so much fun to get to know them. Then I got to see them perform! Mustang Mikki is a talented 16 year old who won the Youth Yoddler contest and the Best Of The Best. Also Thursday afternoon I got to listen to Allan Chapman…Gency Brown…The Red Hot Rhythm Rustlers…and John Bergstrom. Friday morning found me at the DJ panel and that was one of the best I have been to. It was fascinating to me to find out how diverse our shows really are. What a kick! It was an honor to be in the company of such a group! After that, I’ve completely lost track of what happened when…but one of the highlights of the weekend was the main stage performances with Dave Stamey, Juni Fisher and R.W. Hampton! It turned out to be a “roast” with incredible music! Unbelievable entertainment! As the weekend went along I heard my friend Jim Jones signing my favorite songs…Doug Muchmore great singer and father of one of my favorite NM Girl Staters…LeeLee Robert, talented lady whom I have loved getting the know the last 2 years…”V”…what a neat gal and great singer. Looking forward to getting to know here better! James Michael and Call of the West – Jeanne Cahill and Jerome Campbell…there’s a talented group of friends! Buffalo Bill and Dr. Jo…Horse Crazy Cowgirl Band…Almeda Bradshaw…and of course there was Kristyn Harris singing by herself and accompanying various performers. Another highlight of the weekend was the Youth Stage! James Michael does a wonderful job with these young singers and musicians! Of course had the kids not been incredibly talented when they arrived it would have been a different story…but they were! The youth that you already know were of course Kristyn Harris and Mustang Mikki but they were joined on the Youth Stage by Leah and David Sawyer, both gifted singers and fiddlers (and I think they are 7 and 9). And by singers Mandy Brown and Forrest Mackey. There was also an unbelievable young lady there who played 9 string instruments and sang and I was so mesmerized by her performance that I forgot to write down her name or take pictures. If anyone has that information please send it to me and I’ll add it. It was a spectacular performance! 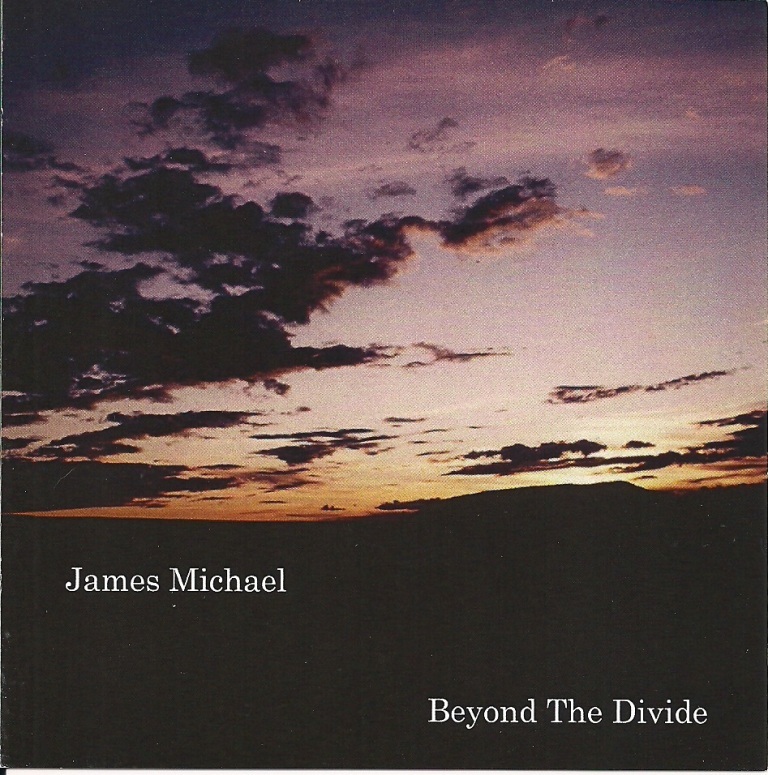 Thank you James Michael for donating your time to this project!!! The Awards Show Saturday night at the beautiful Kimo Theater couldn’t have been better! It was so well organized by Lisa Hampton, the MCs did a great job and the entertainment was of course…award winning! Congratulations to Dave Stamey, the man of the evening, who won Traditional Album of the Year for Twelve Mile Road, Songwriter of the Year, Male Performer of the Year and Entertainer of the Year! Congratulations also to: Patty Clayton for Western Swing Album of the Year for Dancin’ In Denver; Rich O’Brien, Instrumentalist of the Year; Susie Knight for Cowboy Poetry CD of the Year for Western Wordsmith; Yvonne Hollenbeck for Cowboy Poetry Book of the Year for Christmas On The Range; Les Buffham, Male Poet of the Year; Sam DeLeeuw, Female Poet of the Year; Janet McBride, winner of the Curly Musgrave Award; Marvin O’Dell, DJ of the Year; Kristyn Harris, the Crescendo Award; Les Buffham and Mary Kaye, Song of the Year, No Wilder Place; Belinda Gail, Female Performer of the Year; Red Hot Rhythm Rustlers, Duo or Group of the Year; Mustang Mikki, Youth Yodeler and Best of the Best Yodeler; Miss Devon and the Outlaw, Duo Yodelers and The Sawyer Family, Trio Yodelers! What a year for Western Music and Cowboy Poetry!!! Thank you for letting me play a small roll in getting it out to the public! See you in Albuquerque next year!!! I’m home and rested…finally! It took a while! That was the most jam-packed three days I have spent in some time! There were old friends to catch up with, new friends to make and lots of music and poetry to soak up! One of the first familiar faces was Graham Lees, the DJ from Yorkshire in England! It’s always a thrill to see Graham. The first new face was Kristyn Harris. I have been playing her CD on my show for a while and we have communicated via email but never face to face. What an amazing young lady! She’s sweet, friendly, energized, cute and oh-so-talented!!! It was a pleasure to get to meet her. I’m looking forward to following her career! This year I attended more showcases on the main stage. Belinda Gail was amazing! I know she’s been doing this for a while and has a reputation as a wonderful singer…but she held that audience in the palm of her hand. Her songs and presentation were heartfelt. She had other wonderful entertainers on with her…beautiful Mary Kaye and her great voice. Mary Kaye and Belinda are so good together. Diane Tribitt recited her poem, “Live Backwards.” Diane is a real deal poet. 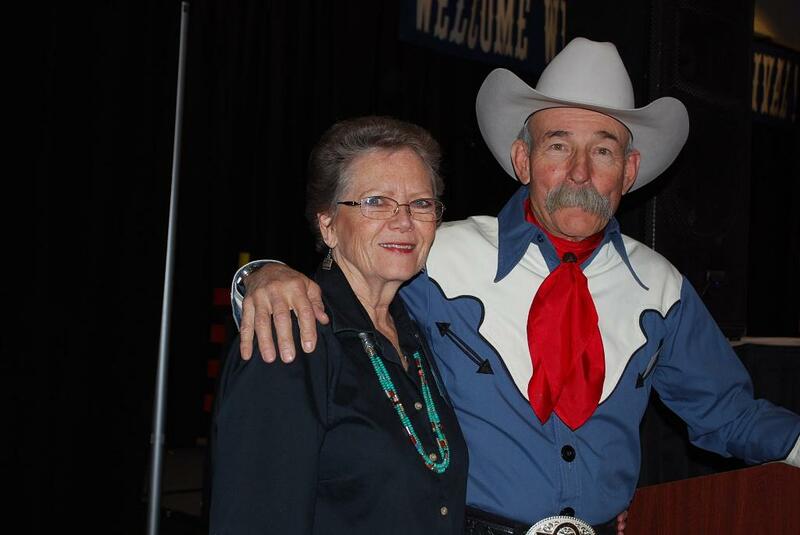 She writes about her life experiences as a rancher…and just continues to get better. The whole package was so good! Belinda’s final song, “Shenendoah”…accapella…brought the entire audience to their feet. No dry eyes leaving that performance (among the girls anyway). It was a highlight. The “Call of the West” performance was pretty incredible… as it always is. Jeanne Cahill and Jerome Campbell are such talented musicians! I could listen to Jeanne sing forever. What a voice she has! Lynn Anderson did a wonderful job…she is always great to listen to! Jon Messenger was at the top of his game! He sounded so good! I’ve never heard him sound better! What a treat! Thank you Jon, for writing “The Old Pelloncillos.” I love that song! Of course that’s one of many beautiful songs you have written! And…about the time I think I know a lot of entertainers…I meet someone who has been around for a long time that I didn’t know. I met Peggy Malone! First, heard her jamming on Friday evening in the lobby. I just heard a couple of songs so decided to attend a showcase and find out what she is really all about. I did that. Oh my gosh…how in the world did God fit that wonderful voice and all the energy into one body??? It was such a pleasure to visit with her too. What a wonderful lady! Thank you Peggy Malone for being my new friend! I look forward to the CDs. Another new friend is Nancy Ruybal! I heard her 3 or 4 times over the weekend and really enjoyed her songs. Nancy has a wonderful voice! And she writes beautiful stuff! After the Awards ceremony Nancy, Diane Tribitt and I ran away to a room and devoured a pizza. We had all be on the run all day and hadn’t eaten much. It sure tasted good. The conversation, though, was an education to me. Having two talented writers discussing…how writers make things work…was fascinating. I was smart enough to just keep my mouth shut and listen. What a treat! During the weekend it was such a pleasure to visit with Cimarron Sue and Nevada Slim, Rick Steinke and Linda Hausler “Open Range,” meet KT Potts, meet GT Hurley, meet Alan Chapman. Good to see Jim Jones, Fred Hargrove, Judy Coder, Carolyn and Dave Martin, Rick Huff, Linda Lee Green, Marsha Short, Steve and Terri Taylor, Barbara Nelson, Marvin O’Dell, James Michael…I should never have started this. I’ll never remember. What I’m trying to say is…it was great seeing you!!! Congratulations to all the winners! Especially Juni Fisher! What a night for you, Juni! Original song, Outstanding Female and Entertainer of the Year! What a haul! Good for you! Congratulations R. W. Hampton for being inducted into the Hall Of Fame! What a champion we have for Western Music! And he’s taking it all over the world. Europe loves R. W. Hampton! And who wouldn’t! All you have to do is listen to him! And besides that, he’s just a really nice guy! All the awards were so well deserved! I have posted them earlier so I won’t do it again but please know that you have my sincere “Congratulations!” The one I am going to mention is Outstanding Book, “Colorado Moon”…when is the next one coming out, Jim??? I’m ready to read it! LOL! I had a great time! Thank you! See you there next year! It is truly an honor to be nominated by the Western Music Association as Radio DJ/Radio Program of the Year for “The Real West from the Old West” on AM 1230 KOTS. Thank you so much! And to hear it first from my friend Diane Tribitt made it even more fun! I love this job! LOL! !